Right now at Visible Logic we have several web site projects that are near completion. Each one is very close to going live, yet has not gone live because the client is waiting to finalize some piece of content. Some of these are web sites for new companies who have nothing more than a landing page at their URL right now. Others are for established businesses that have out-of-date and out-of-style web sites live on their domain name. I keep wondering how many opportunities have these organizations lost by not updating to their new web site. The new sites are much more professionally designed, optimized for search engines and nearly ready to go. I’ve already counseled these clients on how we could go live without the missing content, and that it could be added or edited later. That is one of the benefits of working off of a flexible platform like WordPress. But they are waiting for everything to be perfect. During this wait, their version of WordPress is now no longer current and I wouldn’t be surprised if at least one piece of content now needs updating. Think long and hard about our own web site. What is stopping you from re-doing it? Usually it’s the costs involved. Now think long and hard about the missed opportunities. A more professional web site projects a strong organization. Face it, it’s pretty easy to recognize an out-dated web site. Much has changed in the last 10 years: larger monitors, more web fonts, different stylistic trends. Your old site is marking you and your business as someone who does not keep up with the times. If your current site was a DIY project, you’re probably in even worse shape. Your current web site is not optimized for search. With the prevalence of content management systems it is so much easier to edit and adapt your content for search. A good web designer/developer will have a solid understanding of how to write content and connect the content with code to optimize for search. Depending on the state of your old site, this may not be true. If your current site is built in flash, you’re in even worse shape. Out-of-date information. 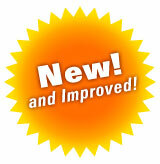 If your current site is hard or costly to update, it is probably filled with information that is no longer current. This may include employees who no longer work there or out-dated descriptions of products and services. Too many things have been stuck in to every blank space. Over the past several years you may have needed to add services to your navigational list or add social media links. But if these weren’t well planned, your site now looks like a Franken-site. Your business has grown/changed, but your web site does not relect this. Face it, we live in a time where things change rapidly. Most businesses change significantly over a span of several years. If your web site is more than a few years old, it’s likely that your messaging (ie what content is emphasize and the text and graphics that support that message) are probably no longer in sync with your current status or future plans. I urge you, again, to take a long look at your current site and see it from the eyes of a prospect. What are you losing by not updating your web site? If You Can't Manage Your Web Project: Can You Run Your Business? Web Design Survey: We Want Your Opinion! Who Should Manage Your Web Hosting? Emily: Good points that too many businesses in their cost/benefit analysis of a new site overlook the “hidden” costs of keeping their old site. They ignore the LOST sales they never generated. @Dan, Good point about the mobile part. According to Google policy website’s up-gradation is very essential and effective thing to get good response from search engines as well as visitors. Your all arguments are strong and full of information, it is simple thing that if a website has out of date information how a user can trust on it. I Will Be Coming Back Soon, Thanks for posting Some Great ideas and I’ll try to return back With A Completely different browser to check out Things! Also, I put a link to your blog at my site, hope you do not mind. I think a lot of businesses still to this day don’t see a website as a good investment, but you’re right. A good website is truly the best return on investment you could have! So many customers, including myself, absolutely won’t do business with a site that is out of date or sloppy. It makes the business look bad and even untrustworthy.